THE new permanent headteacher of Lyde Green Primary School has told Emersons Green Voice that he is looking forward to developing a school for the benefit of children, parents, and the local community. Mark Jackson has been in his role since April 9, having taken over the position from interim headteacher Wendy Westwood, who is staying on at the school as deputy head. Mr Jackson taught at the former Hareclive Primary in Hartcliffe for eight years, where he worked as a Year 6 teacher and deputy head, before leaving to work as a teaching and learning adviser for CAT (Collaborative Academies Trust) in 2013, where he also worked as the head of a school in Somerset for three years. Speaking about his new role and what he hopes to achieve, Mr Jackson told Emersons Green Voice: “I’m very lucky to have a full time deputy, and Wendy and I are a great team. Mr Jackson said the school had recently introduced a new curriculum at the school which recognises that children need to learn how to think and develop the best learning process for them. It will teach them how to work well in a team, instil independence, help them to think creatively and critically and develop empathy. Since Mr Jackson has been in post, the School Square area to the front of the school has opened after a long delay, meaning that staff, parents, pupils and visitors are able to access the building from the front entrance. However, bollards remain in place which means that parents are still unable to park outside. Mr Jackson said: “It’s lovely to be able to access the school from the front entrance now, and we now feel much more welcoming - I have really enjoyed meeting parents at the gate in the morning. A highlight of Mr Jackson’s first month in post has been the election of the first Lyde Green School Council, which allows the pupils to have their voices heard and suggest how they would like to make their school a better place. 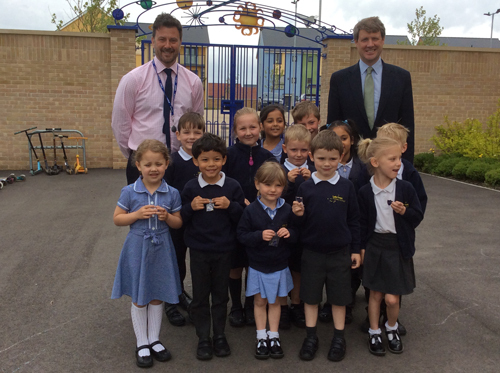 As part of this, local MP Chris Skidmore visited the school to talk to pupils about his work and also give elected members their School Council badges. 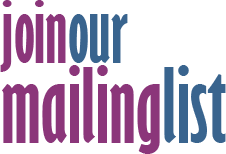 “It has been really great to see how seriously the pupils have taken their School Council responsibilities. They are very passionate about getting involved and making a difference, and see it as much more than just a badge which is fantastic,” Mr Jackson said. He is also keen for the community to get involved with the school and is looking at setting up an entitlement curriculum, where every pupil is given the chance to experience things that they may not have the chance to outside school, such as looking after animals, gardening or visiting a theatre. If any members of the community are interested in getting involved, contact the school by emailing theschool@lydegreen.org.uk.